From pre-history, through Saxon times and into the medieval, post-medieval and modern periods, this part of Somerset has a fascinating and important story to tell. The Society is committed to contributing to the further unravelling and interpretation of this story. Over the decades, the Society has assembled a large collection of historical and archaeological material and members were instrumental in establishing a museum in the Town. Much of the Society’s collection is displayed in the museum in King John’s Hunting Lodge that is now managed by an independent Museum Trust. The Society is a member of the Pottery Group established jointly with Wells Museum, Somerset Archaeological and Natural History Society (SANHS) and a number of other local societies. Led by AALHS President and former County Museums Officer, David Dawson, the group has sought to identify the characteristic pottery of the Mendip area and to explore the economic and technical implications of local manufacture. In this way, some prevailing assumptions have been challenged. As a basis for reference and research, members of the Society have assembled examples of all the types of pottery found in the Axbridge area. 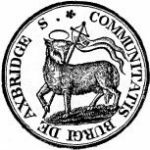 The Axbridge Pottery Series, as it is known, has proved a useful model for other local societies. Several members of the Society have significant excavation experience, including training by English Heritage in techniques of test pitting. Test pitting is a valuable strategy for investigating the archaeology of urban areas and often sheds new light on the development of settlements. Members of the AALHS have developed a methodology that is suitable for a small society with limited resources. One of the Society’s aims is to build up a team competent to carry out future excavations.